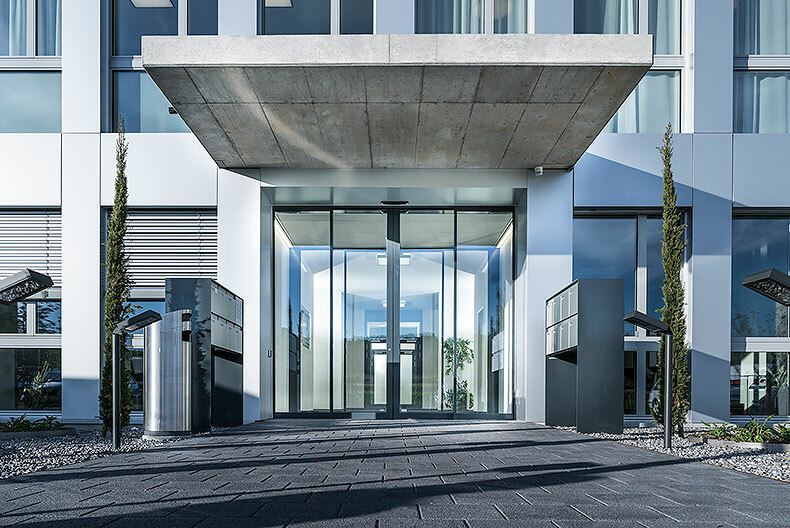 Security and energy efficiency in automatic sliding doors now have a name – TORMAX Secure+Therm. Our new door system offers certified burglary protection to resistance class RC 2, whilst using a slender, thermally separated door profile. It combines all the quality features that make your entrance a modern, valuable installation. Shopkeepers, hotel managers and company owners want and have to protect their buildings against burglary and vandalism. Insurance companies demand security measures so that it keeps premiums low. Fitted with the new TORMAX multipoint locking and numerous other security features, the TORMAX Secure+Therm sliding door system offers all the advantages of an automatic sliding door during business opening hours and the necessary burglary protection after closing time. The whole system has been examined and certified. With the TORMAX Secure+Therm, cold, heat, damp and noise are kept outside. By using this sliding door system you create a refined atmosphere in your building. Customers and staff feel and appreciate the comfort, and because the TORMAX Secure+Therm sliding door system has a very slender and compact thermally separated profile, you do not have to compromise on aesthetics. Proverbial TORMAX quality pays off. The above-average service life of the door systems, maintenance-free motors, and reliable technology, means there are less interruptions and fewer servicing call-outs. Furthermore, the high performance of the TORMAX drive systems increases convenience in daily use. The overall operating costs are significantly lower than for other alternative systems.